Yeah, we are hotelier of the year 2017! Under the motto "Value creation and appreciation through sustainability", the Austrian gastronomy and hotel newspaper ÖGZ in cooperation with the WKO Hotel Association honored the most sustainable star certified companies for their eighth time this year, economic and social way. The main prize "Hotelier of the Year", which was determined by a public vote, went to us this year, the Green Hotel zur Post in Salzburg. 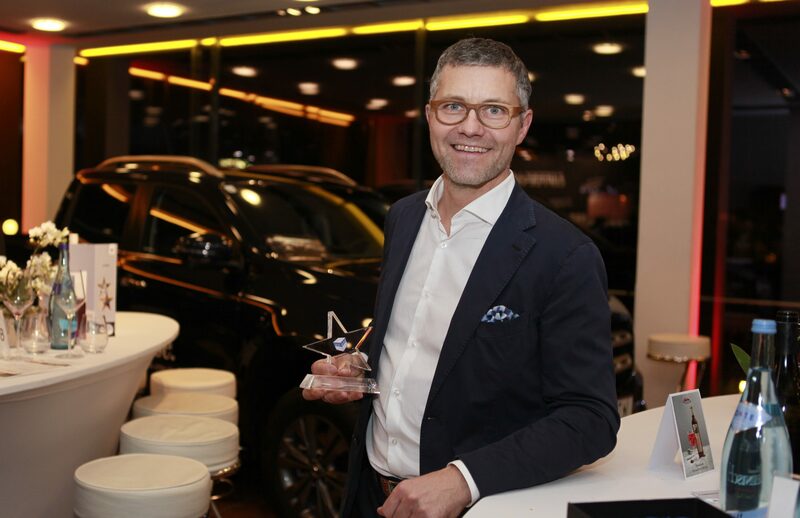 We are incredibly proud that our consistent focus on sustainability has been awarded the "Hotelier of the Year 2017" award. This motivates us all the more to continue to focus on sustainability in all areas, be it through our photovoltaic system or our commodity philosophy "reduce, reuse, recycle". Family Maier and her team conscientiously work on the ecologically oriented design of their hotel. So it is very important to us that the breakfast buffet offers 100% organic food. It is also paid attention to the regional and seasonal origin. The guest benefits from tasty fresh products and of course the local economy. The increased use of ecological detergents and cleaning agents is intended to make another important contribution to the reduction of environmentally harmful products. But special attention is also paid to waste separation. We try to divide garbage to the best of our knowledge and conscience and dispose of it properly. But it is also important to us to motivate our guests to active environmental protection. That’s why we are happy to provide our bicycles for your Salzburg trip. It is also important to emphasize that you can easily reach our hotel by public transport. We are also happy to give tips for an environmentally friendly hotel stay. In addition, we work together with other eco-label holders. So we have a close cooperation with the companies OberösterreichTouristik and Austria Radreisen, which have specialized in environmentally friendly cycling. Stay overnight with minimal carbon footprint in different European cities. The SLEEP GREEN HOTELS are an association of individual hotels that fulfill exactly this requirement. Each house has its own approach to how it can contribute to environmental protection. In the city of Salzburg, the interesting Restaurant-Café TRIANGEL has been awarded the Austrian Ecolabel. The company relies on regional cuisine and fair-trade, organic food. The Triangel team is pleased to welcome you as guests. The restaurant offers you Austrian tavern culture, spoils you with good food & drink, cozy atmosphere, fresh flowers and Salzburg water. Active, resource-saving action of each individual is an important contribution to the preservation of our environment for future generations. For this reason, we have decided to apply for the eco-label and want to be a role model for other companies as well as for our guests. Find out about our special city trip offer. 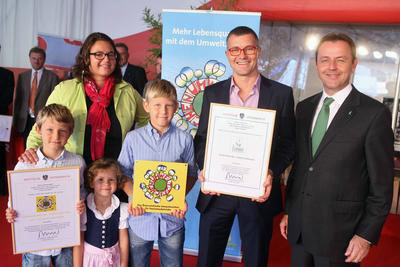 The eco-label is the highest award in Austria and is intended to motivate tourism businesses as well as guests to make their contribution to the protection of our environment. It should also show the consumer environmentally friendly product alternatives. The Austrian eco-label and the European Eco-Label should not only be an award for the hotel business, but also guarantee the guest that environmental protection is a high priority in the hotel philosophy. You should enjoy in our GreenHotel, relax and feel good. So that their ecological conscience finds peace in our house, it is important to us to meet the high quality standards of the eco-label. The Ecolabel was introduced in Austria to reward companies and service providers with a special award for making a contribution to environmental protection. The eco-label is awarded to products, tourism businesses and educational institutions. It provides the public with information about the environmental impact of consumer goods through their manufacture, use and disposal.